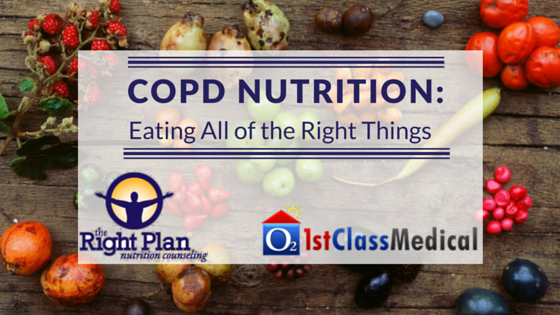 You may be asking how does nutrition impact COPD? There are unique nutrition challenges for people with COPD and nutrition should be a very high priority if you or a loved one is living with COPD. People with COPD have higher calorie requirements due to the effort it takes to breathe. This additional effort by the muscles may increase the calories used by as much as 10 times compared to someone not living with COPD. Many people with COPD have a low body mass index (BMI) which is a sign of poor nutrition that puts them at a greater risk for death. With a proper diet your health goals can be attained and the exhaustion frequently experienced with COPD can be minimized. Frequently people with COPD have a protein deficiency. A lack of protein leads to the loss of muscle as the body cannibalizes its own storage of protein. Approximately 1.5 grams of protein for each kilogram (2.2 pounds) of body weight is required. Getting this protein from high quality sources such as cold water fish, beans, legumes, poultry, eggs, and seafood is ideal. If food preparation and chewing are too tiring, high quality protein powder supplements can be used. Various medications used to treat COPD can make it more difficult for the body to properly absorb the necessary vitamins and minerals. Eating whole foods with high amounts of vitamins D and K as well as minerals such as calcium, magnesium, potassium and zinc will help counteract any loss from prescribed medications. Decreasing sodium will assist with balancing potassium needs. Although we are discussing the top foods to add to a healthy COPD diet, it's important to remember that each person is an individual with personal reactions. Many great, healthy foods like apples, melons, beans, Brussels sprouts, cabbage, leeks, onions and peppers (just to name a few) may cause gas or bloating which may cause breathing problems for people with COPD. Always honor your body when it gives you this critical information and discontinue eating any foods that cause gas or bloating. 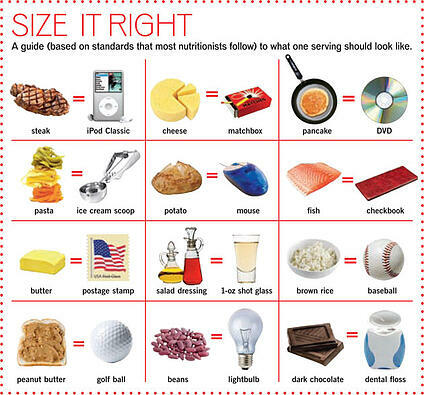 Make sure you check with your doctor or practitioner before making any big diet changes. The breathing difficulties associated with COPD can leave you feeling dehydrated. Staying properly hydrated will keep all tissues in your body, including your airways, more supple. It will also help loosen phlegm making it easier to cough up which will ultimately help protect against infection. The best choice for hydration is water. To make water more interesting try adding slices of fruit such as berries and grapefruit or vegetable slices such as cucumbers. Drinking too much water at one time may make it feel as if the stomach is pushing up the diaphragm making it more difficult to breathe. Plus, the body can only absorb about 4 ounces of water every 30 minutes. It’s best to slowly sip your required water amount throughout the day so the water is properly absorbed, relieving dehydration, rather than flushed down the toilet as waste. 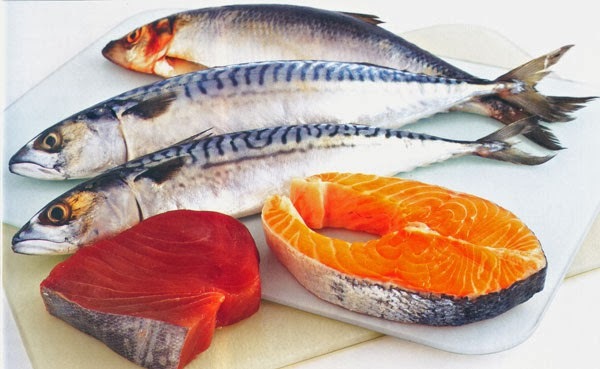 Cold water fish such as salmon, tuna, herring, mackerel, sardines, and pollock include anti-inflammatory properties from Omega-3 fatty acids. Research published in The Journal of Nutritional Biochemistry looked at the fatty acid intake of 250 people with COPD and found that increasing Omega-3s was beneficial on lung function. Omega-3 fatty acids were found to increase the functioning of the pulmonary regions as it suppressed the levels of arachidonic acid in the body that causes inflammation. The recommended amount of Omega-3 fatty acids per day is 500 mg per day or about the equivalent of eating two servings of cold water fish per week. The link between dietary fiber and improved lung function was published in the American Journal of Epidemiology. 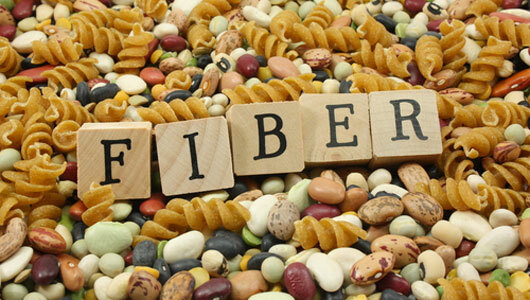 Fiber can be found in whole grains, legumes, fruits and vegetables. Quinoa (pronounced keen-wah) is a great option as it is high in fiber, protein, and a great source of iron, calcium, potassium, zinc, as well as vitamins B & E. It is considered a perfect whole grain. Learn more about quinoa here. Legumes are high in fiber as well as zinc. Research suggests getting the recommended daily intake of zinc may help improved COPD symptoms. This is 11 mg for men and 8 mg for women. If choosing canned legumes rinse them to remove excess sodium. The highest fiber legumes include split peas, lentils, black beans and lima beans, although all legumes are good for individuals with COPD. The highest fiber vegetables include artichokes, Brussels sprouts and turnip greens. Some vegetables should be minimized with COPD such as broccoli and cauliflower. Other vegetables should be avoided such as avocado, eggplant, mushrooms, olives and tomatoes. The highest fiber fruits include apples, bananas, blackberries and pears. Some fruits should be minimized with COPD such as dates, kiwi, limes, oranges and tangerines. Other fruits should be avoided such as figs, grapes, lemons, pineapple, plums and raspberries. If you have limited energy, consider purchasing pre-cut vegetables or frozen. Carefully monitor whole grains when managing COPD. Even good whole grains are dense carbohydrates. Eating too many carbohydrates causes the body to produce carbon dioxide forcing the lungs to work harder to get enough oxygen into the bloodstream. To help your body and lungs remove sugar, sweets and processed high carbohydrate foods from your diet. Since these foods aren’t nutritious you will have the added bonuses of preserving muscle, increasing energy levels, decreasing excess weights and reducing the COPD inflammatory process. Preparing foods with healthy fats can be not only a nutritious strategy but a great option for getting more calories in your meal plan without excess eating. This can be especially useful if cooking and chewing is extra tiring. Healthy fats for people with COPD include most nuts, nut butters, ghee, almond oil, butter and olive oil. Included in your bonus video series is a healthy snack recipe, Almond Bars, that can be made once, refrigerated and eaten over the course of a week. 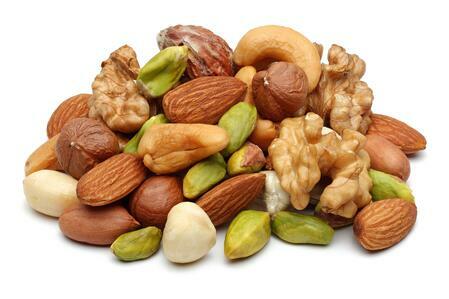 Some nuts and nut butters should be minimized with COPD such as Brazil nuts and filberts. Other nuts and nut butters should be avoided such as peanuts, pecans and walnuts. Almond oil and olive oil can be added to vegetables after cooking to increase absorption of fat soluble vitamins D and K as well as many important minerals for people living with COPD. Just drizzle the oil over cooked vegetables or make salad dressing. Including in your bonus video series is a simple dressing that can be used as a dip too, Miso Nut Dip/Dressing. When managing COPD portion sizing is critical. To avoid feeling overly full and creating a burden on your body, eat smaller snack-size “meals” and eat more frequently. Eating larger meals may make it feel as if the stomach is pushing up the diaphragm making it more difficult to breathe. Choose to eat 5-6 smaller portions throughout the day to keep from taxing your lungs. Bonus Recipe and Video Content: Download the recipes for most of the snacks and meals above and see Kellie Hill prepare them in her tutorial videos with this downloadable e-book! To download your e-book, click here! Heat broiler. Press garlic and chop onion. Allow to sit for 5-10 minutes. Rinse the collard greens. Cut off tough, bottom part of collard green stems. Cut leaves into ½” slices. Cut stems into 1/4” slices. Cut crosswise as well to make small pieces. Sprinkle with a 4 tsp. apple cider vinegar. Using your hands “massage” the greens and allow to sit for 5-10 minutes. While greens are sitting, heat a broiler pan until hot. Sprinkle salmon with salt, pepper, and dill. Broil about 4 inches from heat for about 5-7 minutes, or until fish flakes easily with a fork. Put 2 inches of water in the bottom of a large pot. Make sure water is at a rapid boil before adding collard greens. Add the chopped leaves/stems to a steamer and place in pot. Cover. Steam for 5 minutes; begin timing as soon as you drop the steamer basket into the boiling water. Add chopped onions during the last 2 minutes of steaming. Place greens/onions in a colander and press out excess water. Transfer to serving dish and toss with remaining 1 Tbsp. apple cider vinegar, extra virgin olive oil, salt and pepper, while it is still hot. 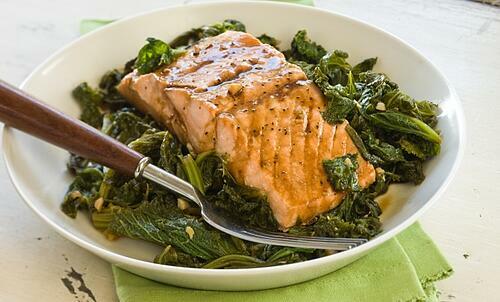 Serve salmon with collard greens and garnish with lemon wedges. Kellie Hill is a Nutritional Therapy Practitioner, bestselling author, television personality, former international talk show host, as well as a survivor of both heart attacks and a stroke and is currently the Oregon Ambassador for the American Heart Association. 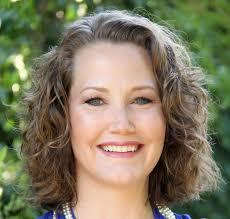 As a whole foods diet expert, she teaches people how to find their optimal health using only whole foods. Kellie is the bestselling author of five books focusing on real foods for health, weight loss, and detoxification which have been highlighted on multiple television and radio shows across the country. Connect with Kellie on her website www.TheRightNutritionPlan.com where you will find recipes, articles, video tutorials, giveaways, and more.